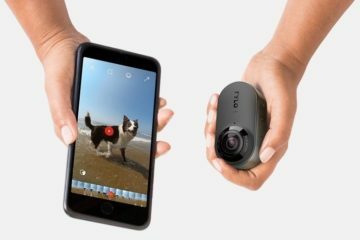 We’re big fans of 360-degree cameras like the Insta360 One X and the Rylo that can frame subjects autonomously, allowing you to extract moving 1080p footage that looks like it’s been captured on a conventional camera. The OBSBOT Tail takes a similar algorithm for framing subjects on its own, but installs it on a regular camera that’s able to pan, tilt, and roll autonomously to keep subjects within its sights. That’s right, this camera can move itself to keep any subject right in its frame, so you can simply set it down in a strategic section of a space and get complete moving footage of any person, animal, or object you want to film. 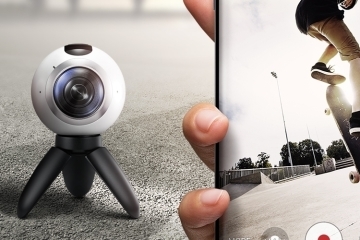 Whether you’re recording your baby crawling around the room, a basketball game your boyfriend is playing in, or your idiot friends performing skateboard tricks, this thing lets you plunk the camera down and capture all the action hands-free. The OBSBOT Tail has a cylindrical base that can stand upright on any flat surface, allowing you to set it down on tables, benches, and a whole lot of other places. 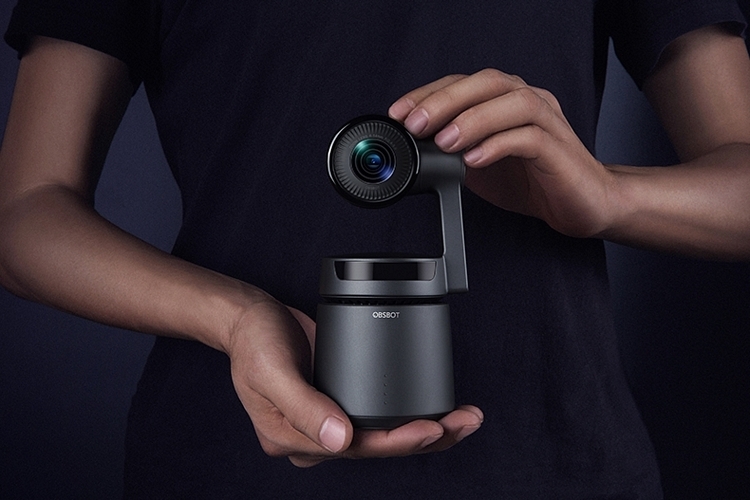 Held by an arm, the camera can pan a full 360 degrees in either direction, as well as roll from -45 degrees to 135 degrees and tilt by 50 degrees in either direction, with all movements controlled by the system’s AI. This allows it to track a subject anywhere around it, essentially giving you a robot cameraman constantly keeping your desired images in the frame. According to the outfit, it can track subjects at distances of up to 40 meters, all while performing its tracking tasks very well even when faced with low-light environments, awkward angles, and bright colorful backgrounds. It can even relocate lost targets, in the event something temporarily obstructs its view. Aside from keeping subjects in frame, the AI also varies its composition in real-time, adapting it to distance changes, posture variations, and environmental obstacles, so it will feel like the footage was shot with an actual cinematographer behind the lens. Of course, you can also specify any composition you want in the companion app, so you do get some measure of control as to how the footage will end up looking. 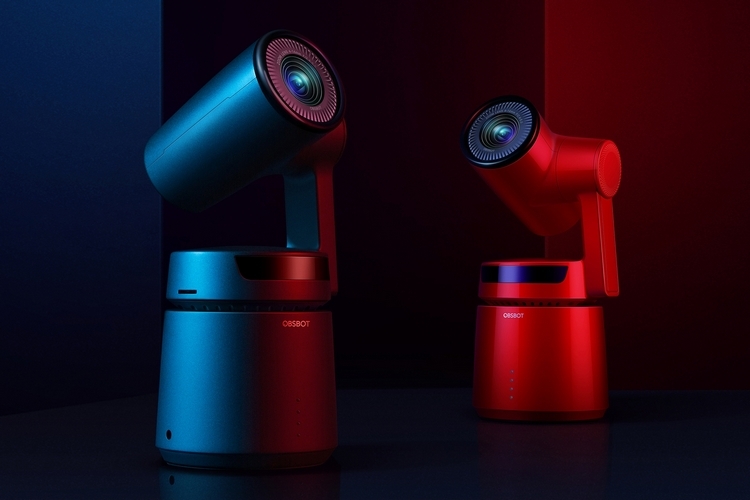 The OBSBOT Tail is equipped with a 12-megapixel 1/2.3-inch Sony CMOS sensor that can capture 4K video at 60 fps, as well as a three-axis gimbal, so it can shoot stable videos even when perched on a moving object. 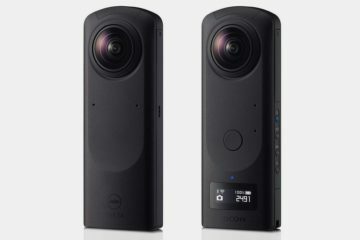 It can also shoot videos at 2.7K and 1080p at the same frame rates, with a slow motion mode that shoots in 1080p at 240 fps. It has onboard 1850mAh battery that’s rated to shoot up to three hours between charges, so you may want to bring that power bank along, in case you’re taking this on the road. 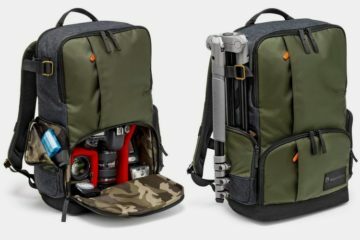 Features include a microphone jack (so you can use your favorite mic with this thing), a microSD slot (supports up to 256GB), an M6 nut connection at the base (so you can mount it to a tripod), and built-in Wi-Fi. The companion app, called OBSBOT Studio, allows you to start and stop recording, as well as change various shooting settings, all while having its own editing interface, so you can perform all your post-editing work without having to transfer everything to a laptop at home. A Kickstarter campaign is currently running for the OBSBOT Tail. You can reserve a unit for pledges starting at $509. I would totally get the OBSBOT Tail if I could see it in action first or at least be able to return it if it didn’t work out. I’ve always wanted to be able to see what my pets were up to while I was away and the OBSBOT Tail sounds perfect for that. Oh filming my dog would be an absolute treat with this camera. I agree though, I’m not going to buy it until I can get it normally. I want to see some real world testing of it before I shell out that amount of money. They really haven’t shown us much yet, it’s all been talk. I would like to see some more in-depth videos on it before I consider buying one. 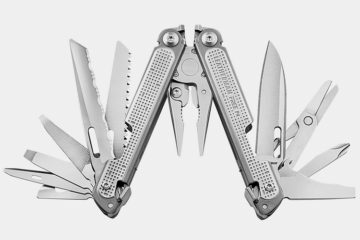 I don’t want to buy it off Kickstarter, but the price will be ging up much higher once they start selling off of Kickstarter. I’ll probably have to wait until version 2 of the OSBOT Tail comes out and then I can buy a deeply discounted OSBOT 1. 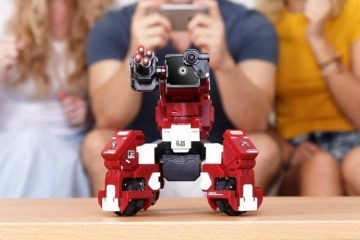 The OBSBOT Tail actually seems pretty cool if you’re not handy with recording video yourself or want to record something while you’re not home. I wish it had the capabilities of viewing the video in real time. I’m surprised it does not considering most do these days. 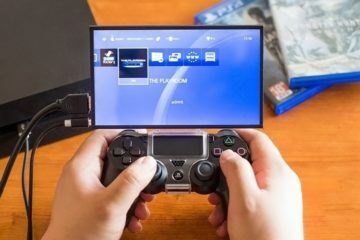 There’s just no built-in viewing screen like most cameras have.. You can still hook it up to a computer to view it live or Livestream it to Twitch and watch it on your phone. I think the OSBOT Tail camera would be slightly harder to use than a regular video camera for a beginner, but once this comes out there will be a lot of Youtube tutorials that will be created to show you how to use it. I’ve been researching out a new camera to buy for making Youtube videos. Now you’ve made my choice harder with the OBSBOT Tail. The cost of the OBSBOT Tail is really reasonable too. If you buy a popular a camera such as the Canon G7x Mark ii, which is really popular with YouTubers, you will eventually need to add on a 3 axis gimbal. The OBSBOT Tail comes with the gimbal so that is an amazing deal. What I like is that I can set up the camera in my room and move around as it films me. The OBSBOT Tail is almost like having a separate cameraman. I don’t want to wait until April for an estimated delivery on the OBSBOT Tail Kickstarter, but I’m now considering just continuing to use my phone until then and then buying one once they release to the public. 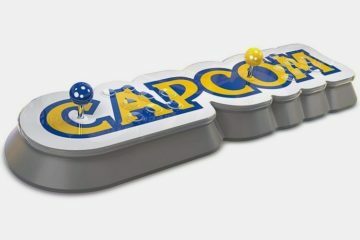 I’m torn though because the price will be increased to over $700 if you don’t get in on the Kickstarter. One thing to note with the OBSBOT Tail is that it does not record audio. You will need an external mic to plugin to it. I like that the OBSBOT Tail can focus on you even when there are other people around. You can have someone choose you as the “target” for the camera to focus on, or you can do a gesture and the camera will pick up on it and focus on you. It’s actually really cool technology. Overpriced for an unproven product. It has a lot of potential, but until they start coming out f the factory and we get to try them in real world shooting scenarios, I will not be buying one. If it can prove itself and all of its claims once it is released, then I would definitely buy one. the cameras that have me most excited are the drones that can follow along and shoot just you. You could go jogging or for a walk on the beach and the drone would film you from an aerial view. Some of these drones you can activate with hand gestures too, which is really nice. I think back to when my grandfather got his first color SLR film camera and how fancy that tech seemed at the time, and realize how far technology has come in just a couple of decades. In the near future, almost all of the tech we used today will be dated and ancient. Cameras such as the OBSBOT Tail will help mold what future cameras are like. It may be possible in the future for a full Hollywood movie to be filmed using no actual cameramen, just one guy ensuring all the auto film cameras are charged up or plugged in. Can the OBSBOT Tail be set up to livestream while plugged in? I would use the OBSBOT Tail to film my dog in the backyard and all the crazy stuff he does. If I could livestream the OBSBOT Tail footage directly to Twitch or Youtube I might be able to build up a large following with my cute dog. Some cameras won’t work if they are plugged in charging, so if the OBSBOT Tail would allow me to plug it in and use it 24/7 that would be a huge selling feature. The OBSBOT Tail does support livestreaming according to the FAQ on their Kickstarter page. The OBSBOT Tail is very expensive for a camera I haven’t even seen work in person or for Kickstarter for that matter. I love the concept and am happy to see it supports live streaming to my device. I look forward to when this becomes more readily available in stores to see it in action first. I doubt this will acheive the level pf success as the GoPro did, but it will be a popular camera if it performs as well as they say it does. I would like to place this in my window and loestram the squirrel thats always running around on it. The problem is, It would have no sound. I got an external mic I can use for my regular video camera, but I am not sure how to use t with this camera while livestraming. Would I I just plug it in and then set the mic outside the window for better audio? They should have integrated a mic into it also. A built-in mic is madatory. I have a Rodes mic I use on my iPhone and it works well, but occasionally the Mic will not be plugged in or I forget to trn it on. WHen this jappens, I at least have the audio from the iPhone mic to use. If you grgot to turn on the mic or plug it in tghtly with the OSBOT Tail video camera, then you would be left with no backup audio to use. For my squirrel in the tree this qould not be a deal breaker, but if your were using it to interview a guest for an interview video, then it would be a majot failure. Imagine going through an hour long interview with someone and then finding out you had no audio. If you do decide to get an OSBOT Tail then you need to ensure you have at least 2 mics, the primary one and a secondary in case the primary mic fails to work for whatever reason. I wish the OBSBOT Tail comes down in price. I really want to get this for my little sister. She’s really into her rabbit. She takes him to shows and teaches him tons of tricks. He’s pretty much her best friend and I know she’d really enjoy capturing all these moments. She has an iPad she records from but it’s hard recording and doing tricks with him at the same time. The OSBOT Tail would be great for her because it could track the rabbit and keep him in the center of the frames regardless of which part of the cage he was in. Maybe if you can have her start a Youtube channel and if the rabbit becomes popular enough she could monetize her channel and earn enough money to buy this or a similar camera. I like using my iPhone for filming, but it feels awkward trying to film with my iPad. I can’t imagine trying to hold an iPad to film and trying to get an animal to do a trick. There are mini tripods that fit the iPads, so maybe you could get her one of those. They are pretty cheap on Amazon. You could also maybe help her out by filming for her while she is doing tricks with the rabbit. 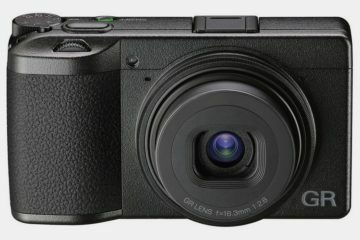 Would this camera work well for filming stop-motion videos for Youtube? Using the traditional method of stop-motion, this would not work. However, you can use it for other methods to acheve a similar look. Lets use Hotwheel toy cars as an example. With traditional stop-mtion yoi will be shooting one image and hten moving your Hotwheels about a 1/4” and then shootinh an0ther image. A lot of stop-motion is 15 frames per second, so for a 5 minute video you will be taking (and moving your Hothweels) about 4,500 times. An alternate method is you can film all your Hotwheels with video and simply move them 1/4”, move them a bit more and repeat, ensuring that you remove your hands have after each time you move the Hotwheels. Then you cut out the video sections with your hand in them when you are editing the video, then just smoothly have each frame moving on tot he next frame. This also takes a lot of time, as all stop-motion will. What’s cool about this method combined with the OSBOT Tail camera is that it will focus on a single object. You have the OSBOT Tail focus on one Hotwheels car, and then push the car and the camera will record the video of it. You can then cut it down and use it as a stop-motion tye effect, or keep it all together for a smooth pan of the Hotwheel car racing motion. The OSBOT Tail would be fun to use. You could have 2 of these cameras, each one filming a different subject, then when you edit the video you’’ be able to swap back and forth between them. It’s like automatic B roll! I hope this does a better job of keeping the subject I focus. I have a windows webcam and anytime I sneeze or blink it decides to focus on my background and leaves me all blurry looking. 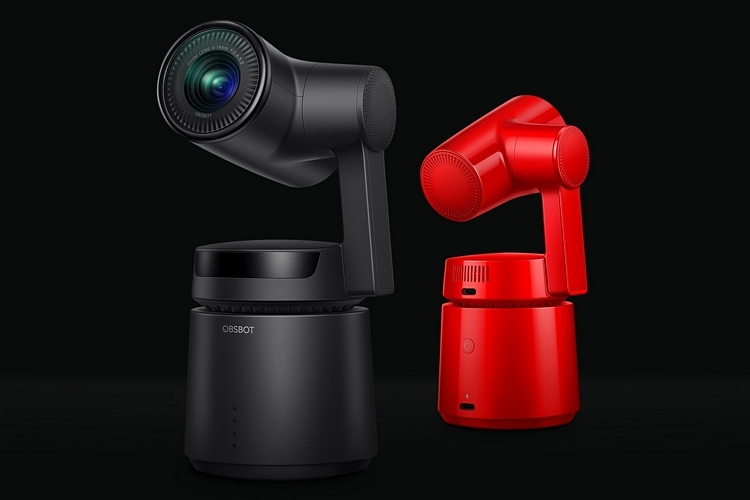 The OSBOT camera is supposed to not only keep the subject in focus, but the camera will move to keep the person in the frame as they walk around the room. 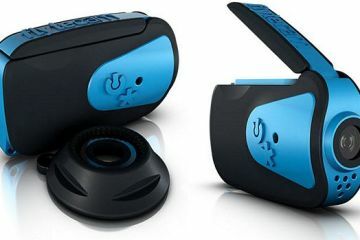 If this proves to work well then I would definitely consider getting one of these for Youtube videos and video chatting. I hope the lens is sealed well to keep dust out if it. If it does perform well outside in dust and varied lighting, then this would be a fun camera to film things such as Skateboard videos with. I wonder how well it would keep the subject in focus if they were moving fast, such as bouncing on a pogo stick? SO can you have this focus on the skateboard and not the skater? 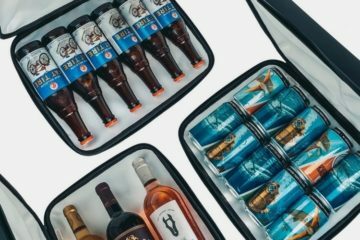 The reason a lot of people probably haven’t ordered one yet is that of the unknown. We honestly don’t know if it can focus on the skateboard and not the skater. It seems like it would, but as with other Kickstarter products, you have to have some faith if you gamble and order one now. I love the idea of this camera, but until I am sure it will meet my videography needs, I refuse to order one. I need to see what professionals think of this camera once they get one after the Kickstarter order is manufactured and mailed.